PLR Monthly is available now with a special MASSIVE discount - $47 single payment for Unlimited Access, instead of $67 per month. That's a total saving of OVER $2,200! So this is going to sell like CRAZY, giving your subscribers MASSIVE value at the same time. Grab your link, all the swipes and tools you need from this page. We would recommend you offer a BONUS to make BIG sales, you can use our simple to edit BONUS TEMPLATE for this. We use JVZoo because it's an awesome platform. You can get your affiliate link below but we ask that you first sign up for our Affiliate program below. We'd like to keep in touch with you about updates. We don't market to our JV's. We run a legit company and we have a great reputation. Please read our TERMS to ensure that the rules are clear and everything remains above board. Please sign up to our 'JV Updates' list below. Keep me in The Loop Guys! Grab Your Promo Tools Below! Hi [Add Name Here], Do you have those days when you think? Man I need to get something going online. I need extra income now! I bet you do. I bet you sit at work thinking how you can pocket some extra cash. How could I pay for my new car, or how could I send my kids to college without breaking the bank? The solutions are not there are they! If they are they are not easy. [AFFILIATE LINK HERE] Well I may be able to shed a little light on your problems, give you a helping hand so to speak. No I'm not going to buy you a new car, nor am I going to pay for your kids to go to college, I have my own commitments in these areas, but I have them covered. How do I make that extra per month, how do I make that payment without issue? I am a member of PLR Monthly. You may have heard about Private Label Content (PLR) well before. When I joined PLR Monthly I had no idea that making money online was so easy. These guys provide you with all the tools you need to succeed selling your own products online. You get a complete 'ready to sell' PLR Ebook every month, professionally written Sales Pages and Squeeze pages, a complete set of High Quality ecover, 3D and physical graphics for each package and LOADS of video training and tutorials designed to help you get the very MOST out of PLR. If you are looking for an online income or looking to increase your own business, check out PLR Monthly today:[AFFILIATE LINK HERE] You won't be disappointed, I'm not and neither is my bank manager 🙂 Thank you for reading,[Place Your Name Here][AFFILIATE LINK HERE] PS – Don’t pass this up it’s a pure golden opportunity to make the most of your new online business. PLR monthly has the best ready made content you could ever want or need. Hi [Add Name Here], Not so long ago I sent you an email regarding Dan Sumner and Dave Nicholson’s PLR Monthly and to be honest the response has been phenomenal. So Phenomenal in fact I simply needed to inform you again! If you never seen the email or forgot to look at the product then here is a great second opportunity to do just that:[AFFILIATE LINK HERE] Great products don’t usually come around all that often and I assure you that PLR Monthly is one of those special products you do not want to miss out on. These guys have really given this member’s website a whole lot of their time and effort to making it the best it can be. The simplest and fastest way to start an online business is to use PLR. If this is your first time making money online, there is so much to learn from selling and marketing the products you get from PLR Monthly, this is why Dan and Dave have provided you with such an informative member’s area, packed full of tutorials to help you succeed. PLR Monthly is not just another PLR website, it is an opportunity to start your own business and succeed... You get a complete 'ready to sell' PLR Ebook every month, professionally written Sales Pages and Squeeze pages, a complete set of High Quality ecover, 3D and physical graphics for each package and LOADS of video training and tutorials designed to help you get the very MOST out of PLR. Don’t miss out on this amazing opportunity. Success is only a click away. [AFFILIATE LINK HERE] Thank you for reading,[Place Your Name Here] PS – Don’t miss this one you won’t be disappointed. This could be the business opportunity you have always been looking for and its free to see now. 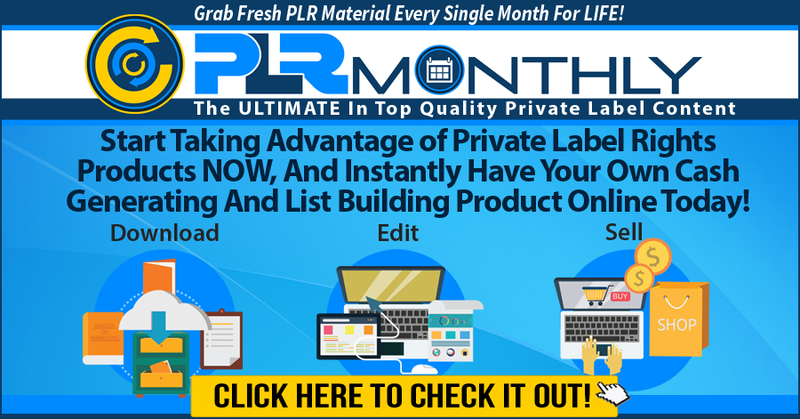 Hi [Add Name Here], Have you grabbed your access to PLR Monthly yet? You’ll kick yourself later if you miss this one time special discount. [AFFILIATE LINK HERE] People from all walks of life have already jumped onboard this amazing business opportunity. Smart people that want to generate REAL income without all the hassles of content creation. So stop what you are doing now and take a look at the amazing value the guys at PLR Monthly are providing! These guys have put huge amounts of time and effort into providing their subscribers with nothing but the best top quality, fresh PLR products, sales pages, graphics, articles, squeeze pages, tutorials, the list goes on and on…[AFFILIATE LINK HERE] Remember, this 'special' could end ANY TIME, so don't miss your chance to get in for this amazing special price. Remember, you have been told! 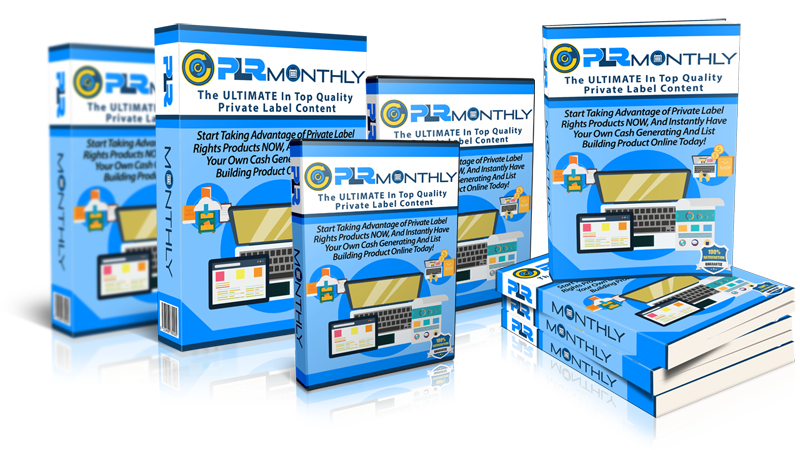 You'll have BRAND NEW Top Quality PLR content every single month for the low, LOW single One Time Only payment you can grab this for RIGHT NOW! Regards,[Place Your Name Here]. Hi [Add Name Here], Don’t miss out on this amazing discount opportunity! [AFFILIATE LINK HERE] Unlimited access investments don’t come around that often and today the clock is ticking on Dave Nicholson and Dan Sumner’s PLR Monthly VIP members’ area access. The time to act is now to beat the clock and grab a great investment! [AFFILIATE LINK HERE] Take a look at what you can get today and every month when you join: # Member Exclusive Training and Tutorials. # Private Label Rights eBooks Every Month. # Professionally Written Sales Pages. # Targeted Squeeze Page. # Multiple eCover and Physical Graphics. And much much more… Remember you have a limited time to pick up this once in a lifetime opportunity, so don’t miss out. Here is the link again, I just hope it’s not to late:[AFFILIATE LINK HERE] I’ll see you on the inside. Regards,[Place Your Name Here]. PLR Monthly gives users UNLIMITED access to our PLR Resource and Training website. This includes a complete 'ready to sell' PLR Ebook every month, professionally written Sales Pages and Squeeze pages, a complete set of High Quality ecover, 3D and physical graphics for each package and LOADS of video training and tutorials designed to help you get the very MOST out of PLR. Our sales funnel is simple, yet VERY effective, and PROVEN to convert like crazy. This special promotion allows users to grab Unlimited access to PLR Monthly at the very special SINGLE PAYMENT ONLY price of just $47. Our first upsell is a MASSIVE package of 48 Super High Quality, Ready Made PLR Products, this has proven to convert like crazy at $48. The downsell is 24 Super High Quality, Ready Made PLR Products for only $24.